Here you will find an archive of tutorials and tools. If you like and use these tools, consider making a donation to keep this site up and running. SonoClipShare: Share your clips with anyone, anywhere. Basic online PACS-like system for archive sharing and feedback. sonogif: Convert any clip to a gif using this app. ClipDeidentifier: Make your ultrasound clips HIPPA compliant for sharing, publishing, and education with this tool. 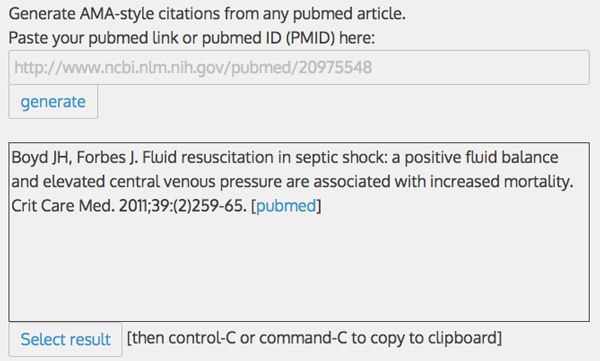 Pubmed Citation Generator: Creating #FOAMed and need an AMA-compliant citation? Use this tool. Scan Adjust Demo: this is an online demonstration of the importance of a properly gained ultrasound image. It allows the user to visualize a real time histogram of brightness intensities while highlighting the portion of the scan that is either over- or under-gained. M.mode.ify: this is a tool that will (magically) allow you to convert an ultrasound clip to m-mode. Tutorial: Clips to Gifs Here’s a photoshop tutorial on how to create an animated gif from an ultrasound clip. These gifs are useful as auto-playing web images or to tweet. Tutorial: 2 Clips, 1 Gif Here’s a photoshop tutorial on how to create a single animated gif from two ultrasound clips. These gifs are useful as auto-playing web images or to tweet. Tutorial: Tweak U/s Clips with Photoshop Have a great ultrasound clip for teaching, but it’s too dark or lacks contrast? Here’s a tutorial on how to use the power of Photoshop CC to tweak your clips for presentation. Basic Video Editing with Photoshop Here’s a photoshop tutorial on how to import video and audio clips into Photoshop and splice them together with basic transitions and export as one video file. Colorize Ultrasound Clips Here’s a photoshop tutorial on how to colorize ultrasound clips. You can then export them as video files or gifs. For beginner tutorials on basic views, check out our sister site 5minsono. do you have a PC friendly version of clip deidentifier? Very nice photoshop tutorials. 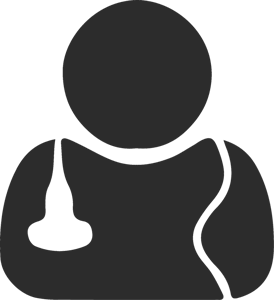 Outstanding you’re willing to share your expertise with the rest of the ultrasound education community! Which version of Photoshop do you use ? How do you manage to place your UOTW logo within your clips? I think I can manage a roundabout way of doing it with Keynote, but I know there must be a simpler way. I do not have Adobe Photoshop CC. Where you substitute YOURDIRECTORY, YOURIMAGE, and INFILE/OUTFILE for the appropriate values, change 200 and 60 to the X and Y pixel location of your image overlay (left upper corner of image). Do you have a tool for making measurements on a clip? 2-D, volume and/or Doppler (PHT, gradients, etc)? Not yet. I like the idea of creating a tool to measure area and volume, that would be fairly easy. Doppler would be impossible post-hoc though, since it depends on data not recorded in a 2d cine. I’ll start brainstorming on the 2d measurements. Thanks for the suggestion. Any suggestions on how to take a high quality still image from a video other than taking a screenshot? Thanks for everything you do!